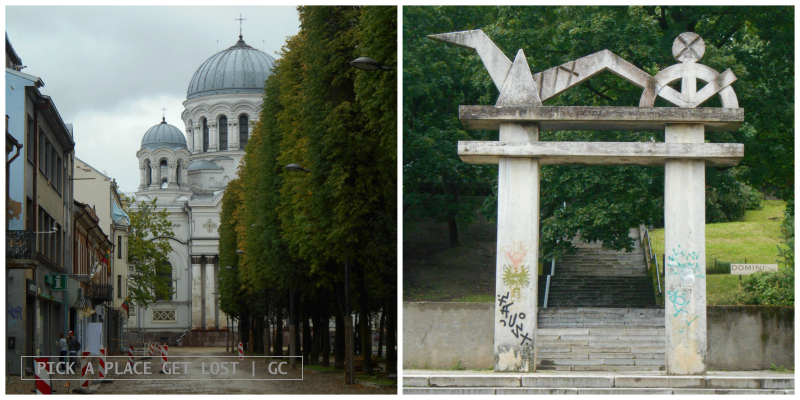 I see Kaunas as one of those places that reveal themselves slowly and gradually, not all at once. At least, that’s how it revealed itself to me. 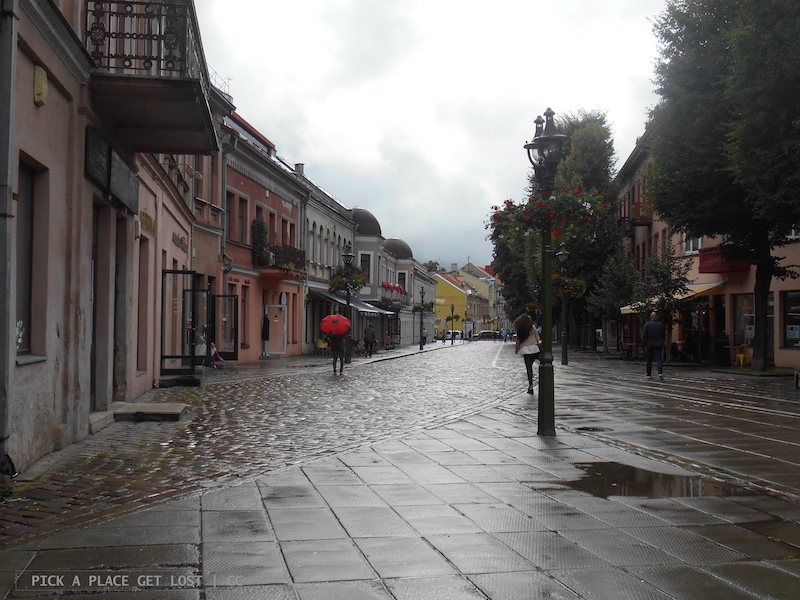 The guide described Kaunas as a ‘vibrant city with a lively student life’, or something like that. After a few hours around the city centre, though, asked to describe my first impression in five adjectives, I still would have struggled to call it ‘vibrant’. I would have gone for ‘exceptionally quiet’, ‘rather dark’, ‘silent’, ‘grey’ and ‘quiet’. Ok yes I’d probably have used twice the word ‘quiet’. We arrived at Kaunas temporary bus station (the actual station was being renovated) around lunchtime and, after improvising a cheap, random ready-made lunch at the Maxima supermarket inside shopping centre Akropolis, we checked in at our hostel and immediately left to make the most of the afternoon. 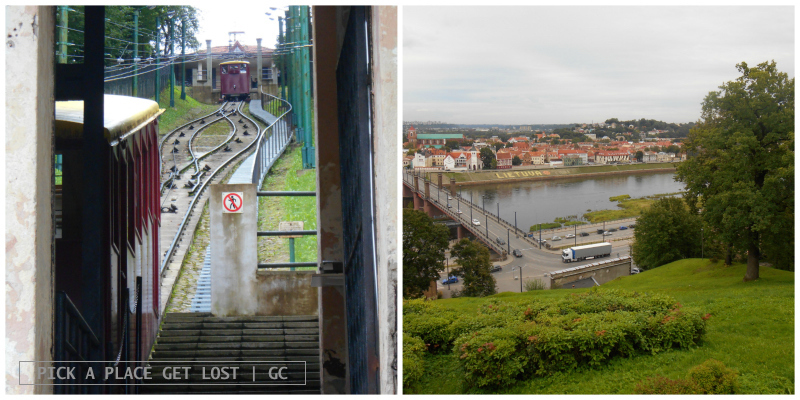 Finding one’s way in Kaunas is fairly easy. Laisves aleja is the pedestrian high street that goes through the New Town. Entirely flanked by shady trees that protect you from sunlight as much as from rain, it goes from St. Michael the Archangel’s Church (blinding white and really majestic, pity the building doesn’t look too well preserved) to the crossroads where it changes into Vilniaus gatve. 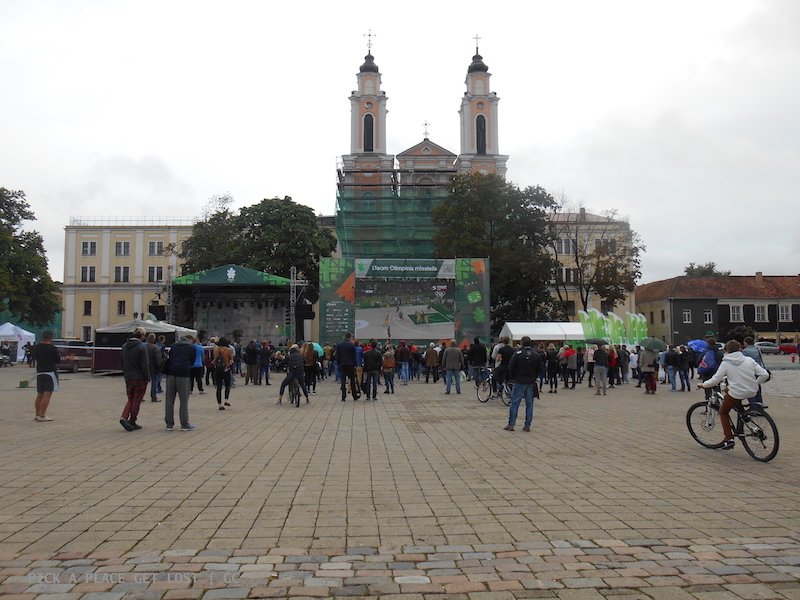 When we visited, a large portion of Laisves aleja was undergoing a major renovation, probably due, at least in part, to the fact that Kaunas is running for European Capital of Culture in 2020. Vilniaus gatve, with its cobblestones, looks a bit like a painting, to which crappy weather suits as well as cloudless sky. Vilniaus gatve takes you straight to the main square, where, as we noticed when we got there, the City Hall and the giant screen showing Olympic races drew the attention of hordes of tourists and locals, respectively. 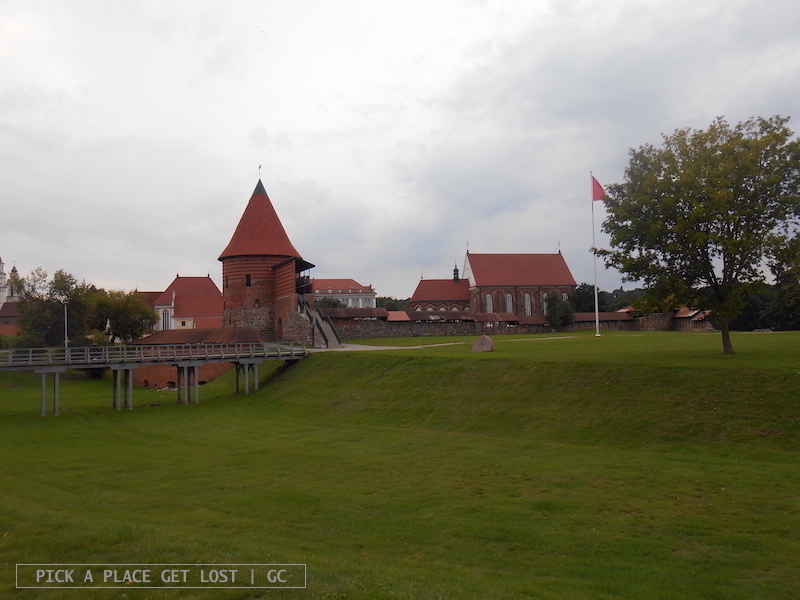 From the City Hall you can easily reach both the Nemunas River (whose views, at times, do remind of the Neris River in Vilnius) and the Castle, made of perfectly shaped and red-coloured bricks. The Nemunas flows right beside the hill on top of which the castle was built, and its green grass makes it the perfect spot for chilling alone or with friends. 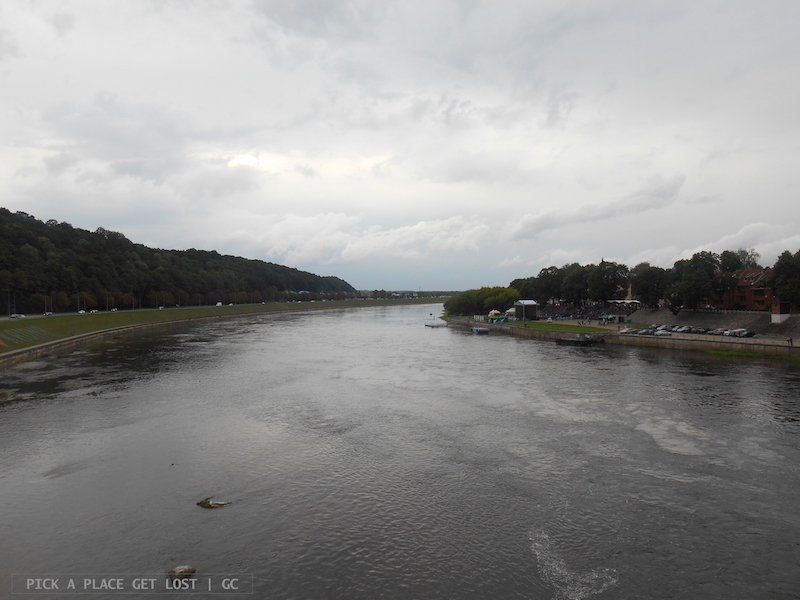 It only took me a couple of afternoons around (the first accompanied by regular showers – we didn’t miss any of them – the second unusually dry but with a strict no-sun policy) to see with my own eyes that Kaunas is in fact vibrant, lively and has a lot to offer: its tiny amber and souvenir shops, the dark Nemunas running fast below the bridge, the view from the top of the hill across the river, with the lovely old Russian-speaking lady managing the funicular, the meadows surrounding the river, the countless cafes and restaurants literally everywhere in the old town. 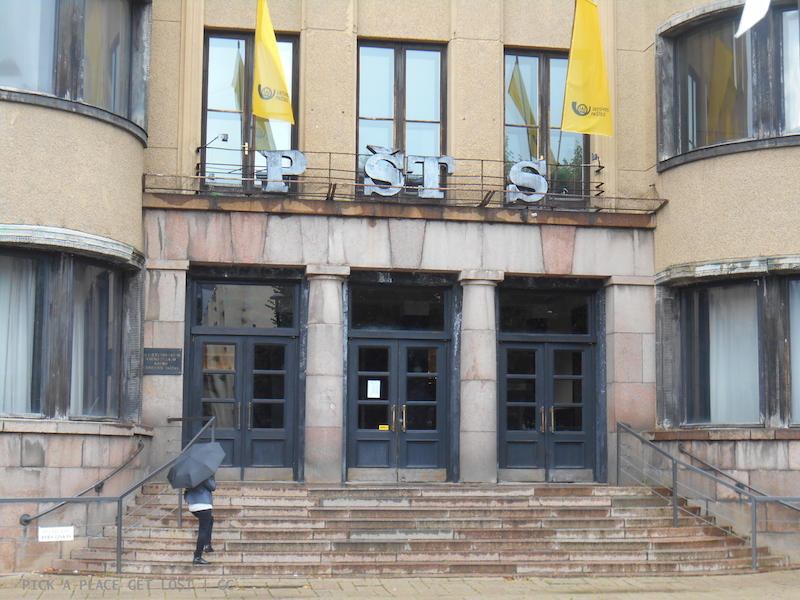 This entry was posted in Lithuania 2016 and tagged kaunas, kaunas city centre, lithuania, lithuania 2016, lituania by Giorgia. Bookmark the permalink.